Digestive Enzymes to the rescue. Digestive enzymes help break down food so it can be absorbed and used for energy. While raw foods are the best sources for these enzymes, few of us eat enough of them to do much good. Cooked or processed foods don't add enzymes to our system and actually even decrease natural enzyme production further. With ten different enzymes, our Digestive Enzyme Complex can help you digest just about any food that may be an issue for you. Helps digest all foods that cause problems. This unique digestive formula gives you 30 mg. of calcium, 5 mg. of Bioperine standardized to 95% piperine, and 5 mg. of pepsin. In addition, you also get a 500 mg. proprietary blend of powerful enzymes to break down various foods and help your system convert it into energy including. Protease and Protease II to break down protein. Lipase to break down oils and fatty acids. Maltase to break down sugars and grains. Lactase to break down milk. Cellulase to break down fiber. Amylase to break down starch. Sucrase to break down sucrose into glucose. Bromelain and Papain to soothe digestive distress. Why the discomfort after eating? If you're uncomfortable after eating or bothered by a sour taste, you're certainly not alone. Digestion issues are among the main reasons for office visits, and just about everyone will experience it at some point in their lives. While you can blame your parents for some of it, digestive discomfort can also be caused by stress, obesity, smoking, certain fruits, vegetables or dairy. 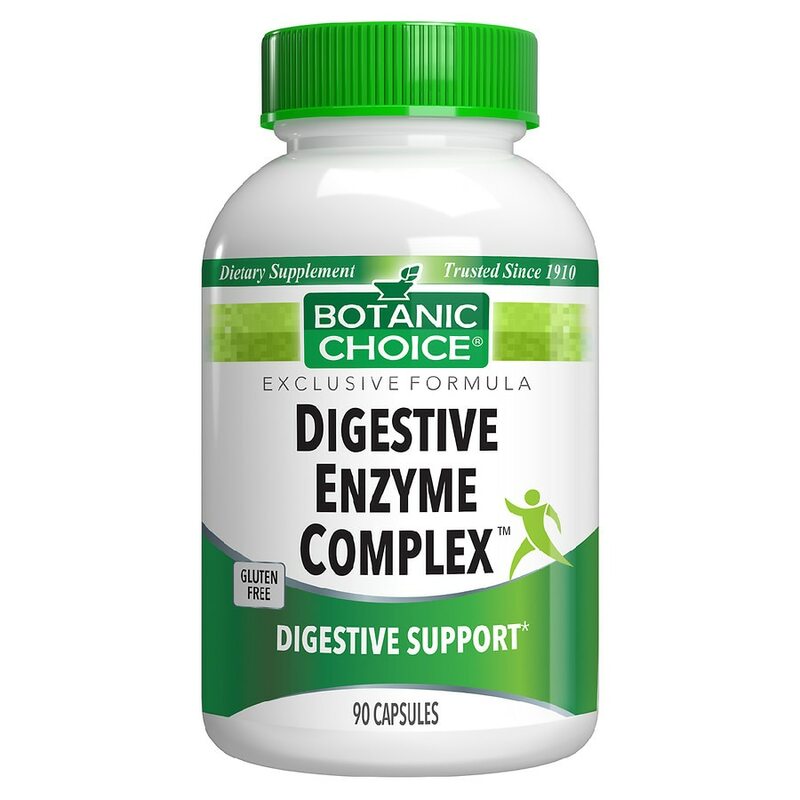 Benefits of Digestive Enzyme Complex: Eases uncomfortable bloating and gas, and other digestive issues. Manages embarrassing, persistent belching. Comforts sour stomach. Supports normal digestion and elimination. Try this amazing formula today for better health tomorrow! Take 1 capsule 3 times daily with meals, as a dietary supplement, or as directed by a physician. © 2012 Indiana Botanic Gardens, Inc. Contains: Milk. If you are taking any medications or are pregnant or nursing do not use prior to consulting a physician. KEEP OUT OF REACH OF CHILDREN..